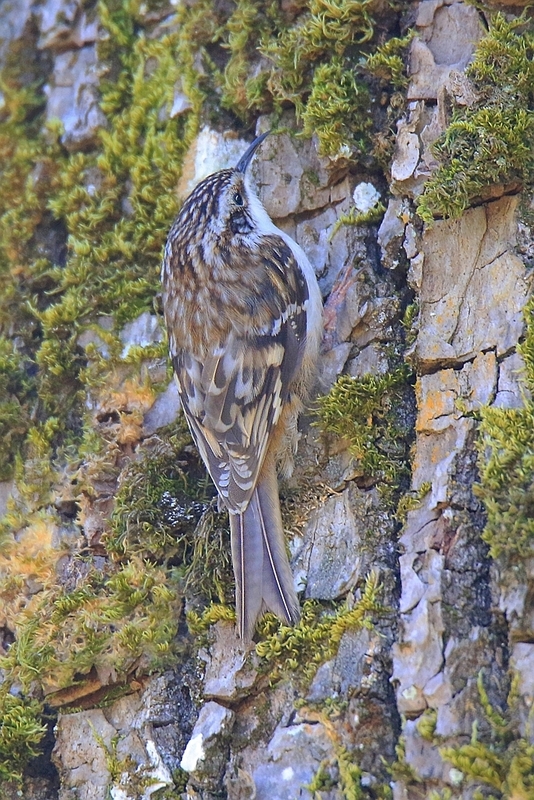 Brown creepers are small birds that forage for insects hidden in the bark of trees. They typically start low on the trunk and work their way up to the top, then fly down to the lower trunk of a neighboring tree and start the process over again. They have a bad habit (for photographers) of disappearing around the side of the trunk, only to reappear 5 feet farther up, making them often difficult to get good photos of. Looking at the background and the color of this bird, I feel it's not so easy to find them and capture! Great work by you! Thanks! You are correct... they aren't easy to spot, and even harder to photograph because they are constantly moving up and around the tree trunks!